Christmas and my birthday (coming up in January) came early for me! Mr. Fuji surprised me with a trip last month to New York City as an early gift, including having my mom and dad fly up fro Southern California to stay with our kids! It was a quick trip—only 3 days—but we managed to cram quite a bit into that time and thoroughly enjoyed ourselves. I can’t wait to go back! 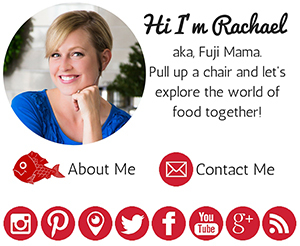 These were my favorite sites/activities and bites during the trip. Mr. Fuji got us amazing seats to see Hamilton, the Broadway musical. He had seen it before in London and had told me how amazing it was, but his description didn’t even do it justice. It was mind-blowing and I enjoyed every second of it. I would see it again in a heartbeat. 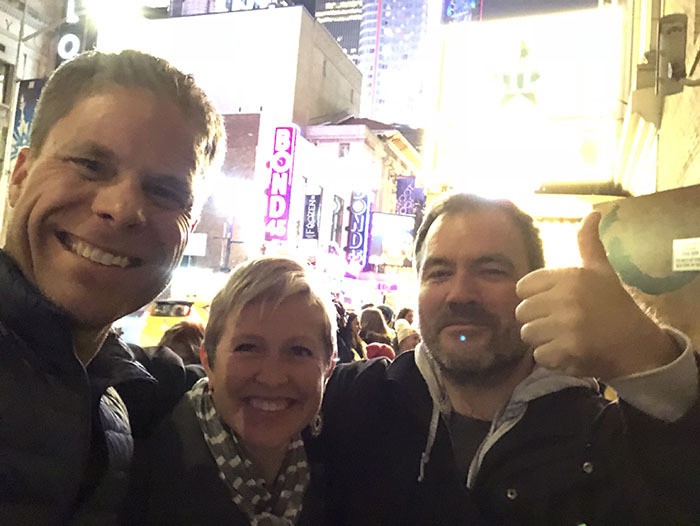 Mr. Fuji had also arranged for us to get a backstage tour afterwards with Jonny Dinklage, the concertmaster and first violinist for the orchestra of Hamilton (and super nice guy). 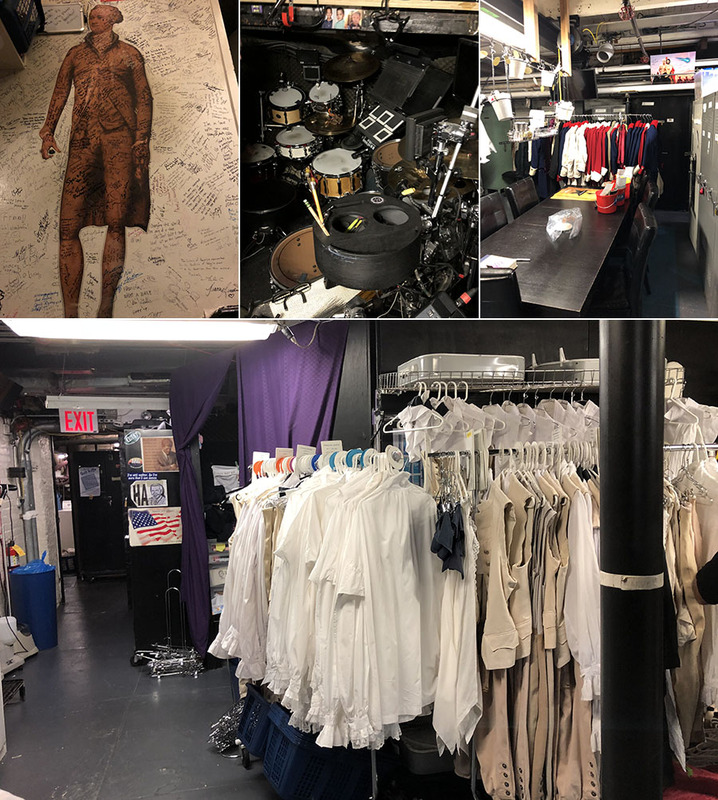 It was fun to get to see the set up-close-and-personal, see the orchestra pit, meet some of the cast, etc. 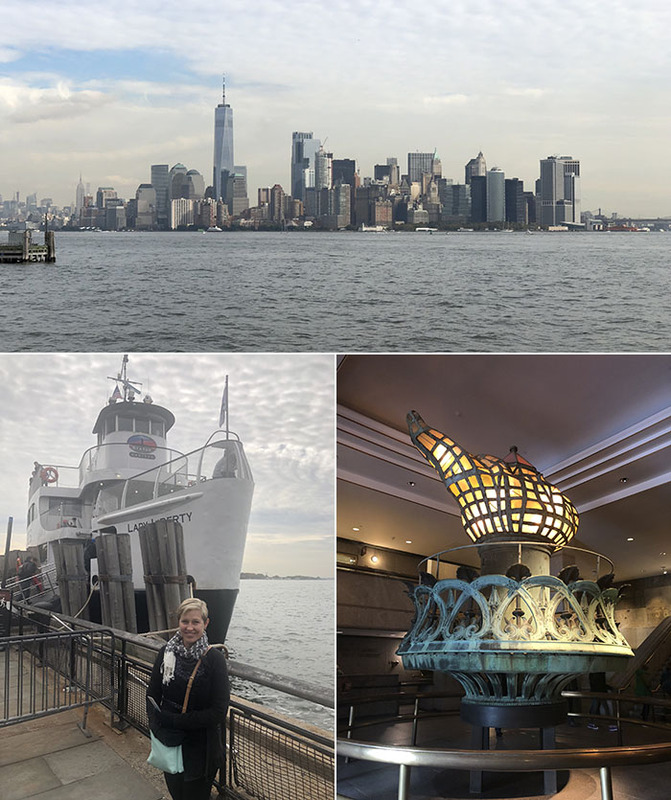 I was contacted a few months ago by Statue Cruises about experiencing a visit to the Statue of Liberty and Ellis Island with them. When I found out I would be going to New York, I let them know and they arranged for cruise tickets for Mr. Fuji and I to visit Lady Liberty and Ellis Island. The Statue of Liberty National Monument was breathtaking. Getting to stand, literally, at Lady Liberty’s feet is an experience to remember. There is also a small exhibit inside the base of Lady Liberty which gives the history of the statue and includes the original torch. Ellis Island was especially meaningful to me as my maternal grandmother was a German immigrant who came to the US in 1952. Although Ellis Island closed in 1954, after 1924 the only immigrants to pass through the station were those who had problems with their immigration paperwork, displaced persons, and war refugees, so my grandma didn’t go through Ellis Island. But it was meaningful to me to be where so many people first landed in the United States to start new lives, as my grandma did. 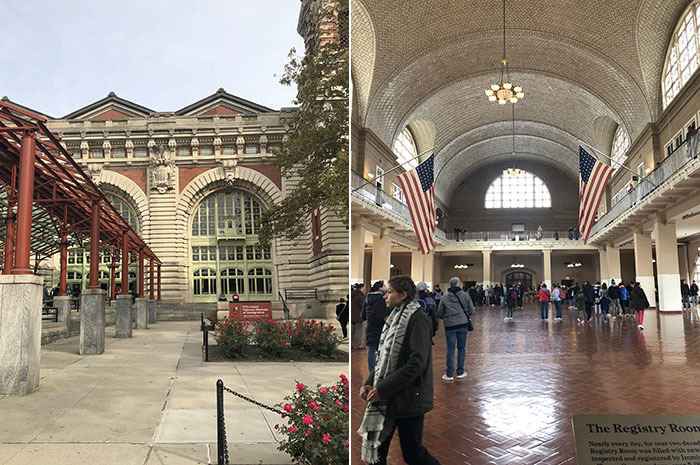 The Ellis Island National Immigration Museum is massive and we barely had time to scratch the surface. I am dying to go back with the Fujilings! 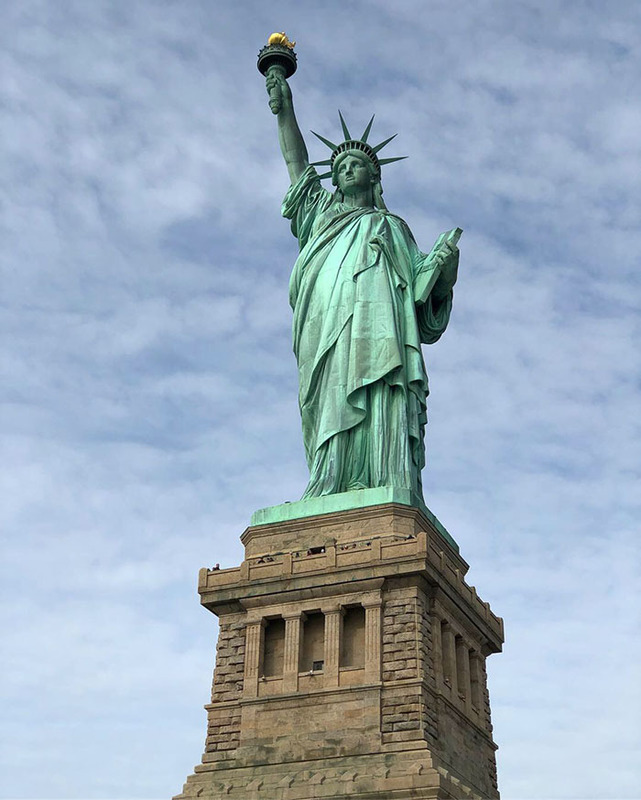 Statue Cruises is the official provider of ferry service for the National Park Service to the Statute of Liberty and Ellis Island (and the only authorized provider). 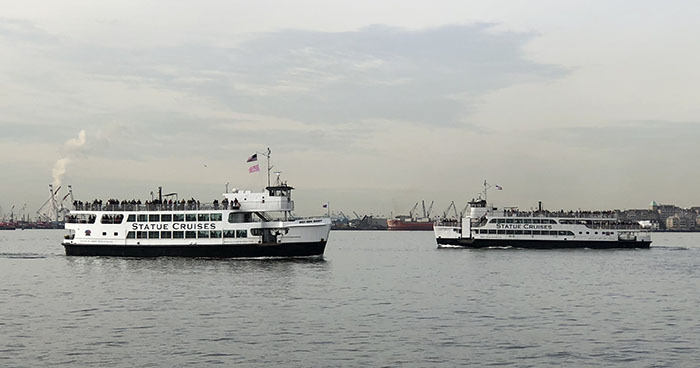 You can purchase tickets online at www.statuecruises.com or at the Statue Cruises tiket office inside Castle Clinton at Battery Park and in Liberty State Park. If you purchase an e-Ticket, you can bypass the ticket booth and go directly into the screening facility. Do this! As you can imagine, since there is only one provider for these historic locations, things can get crowded and you will want to avoid those lines! Although sobering and emotionally difficult, a visit to the National September 11 Memorial & Museum is a must. The memorial and museum commemorate the attacks on September 11, 2001, which killed 2,977 people, as well as the 1993 World Trade Center bombing, which killed six. The memorial is located at the former location of the World Trade Center site. 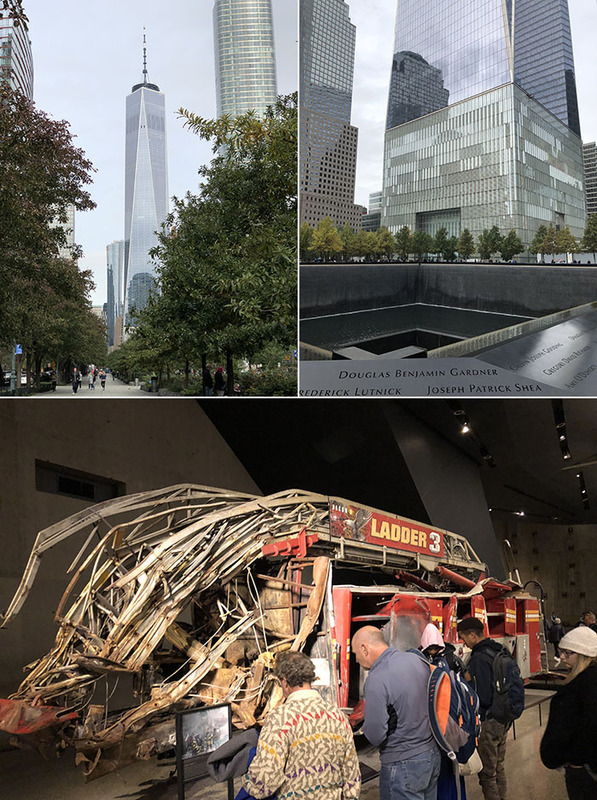 The museum houses 14,000 artifacts from September 11, 2001, including twisted steel from the Twin Towers, 40,000 images, more than 3,500 oral recordings, and over 500 hours of video. 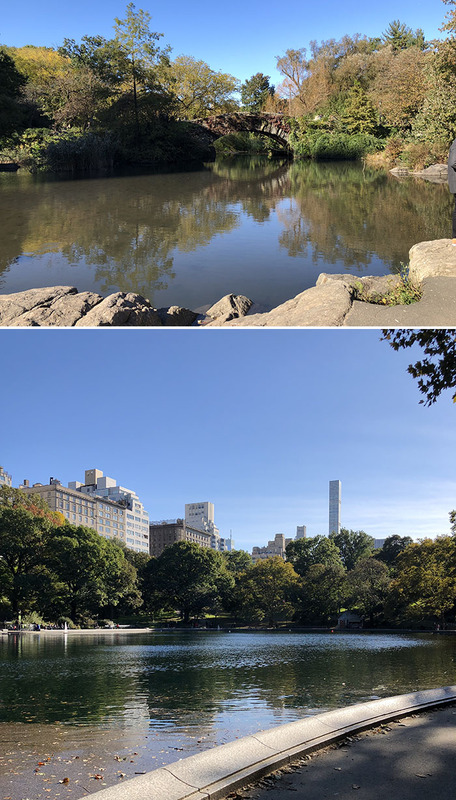 I spent about 2 hours walking through iconic Central Park, but could easily have spent an entire day. It’s beautiful and great for people watching. What could be better? I love art museums, but we only had time for one on this trip, so I chose the Museum of Modern Art (MoMA). 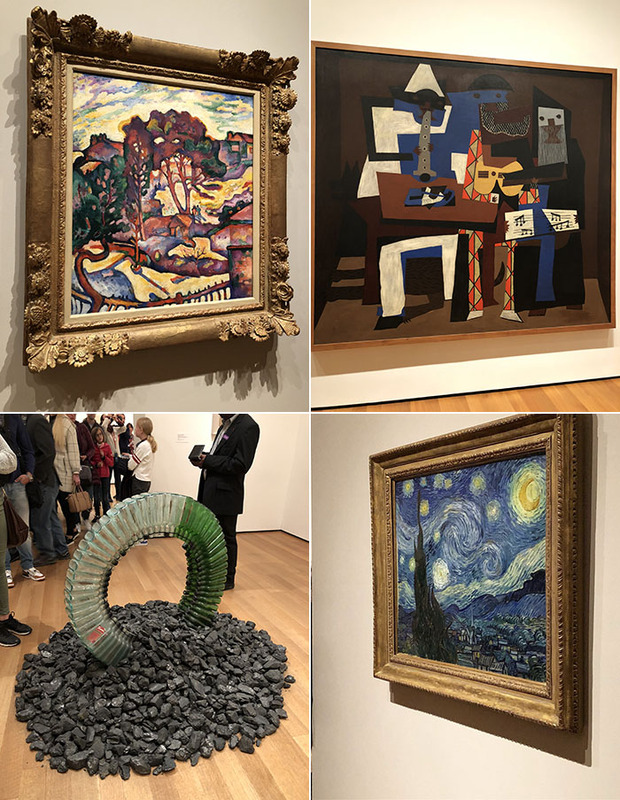 It is often said to be one of the largest and most influential museums of modern art in the world and is home to some of my favorite pieces by Picasso, Van Gogh, Matisse, and many more. 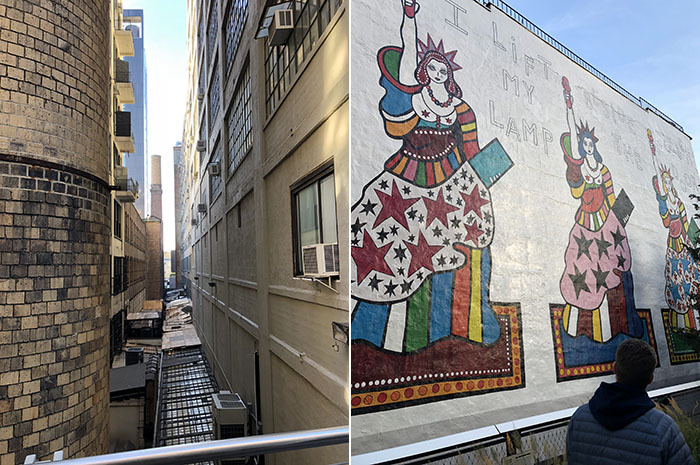 The High Line Rail Trail is an elevated “rails-to-trail” park with beautiful city views on the lower west side of Manhatten. From 1934 to 1980 an elevated rail line connected the rail yards of mid-town Manhattan to an industrial district along the lower West Side of Manhattan. Constructed 30 feet above the ground, it avoided dangerous street crossings. 1.45 miles of the rail line was eventually converted into the High Line Rail Trail. This little gem serves up all vegan contemporary Mexican fare and has a fabulous, quirky, cozy atmosphere. Every single bite hit it out of the park. We shared an almond horchata, then Mr. Fuji had the nachos as his starter (corn chips topped with chorizo, fermented black beans, turmeric-nut queso fundito, spicy vegetable relish, and sour cream) and I had the pumpkin sopa that was a tiny bit spicy and very creamy. For our mains, Mr. Fuji had the palm carnitas tacos (blueberry and flaxseed tortillas filled with hearts of palm, jackfruit, orange, salsa verde, and micro cilantro) and I had the pupusas (corn tortillas stuffed with beans and coconut queso and topped with serrano, shiitake bacon, and sour cream). I wish I could go back to taste the entire menu! 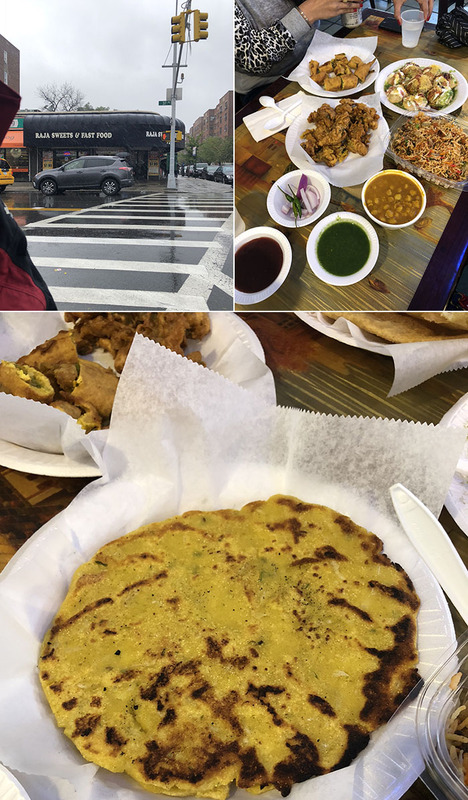 We met up with some friends in Little India (Jackson Heights), and grabbed some lunch at Raja Sweets & Fast Food. The food was incredible. Our friends, who are from Punjab, said that the restaurant is one of their favorites because not only is the food delicious, but it feels just like being back home in Punjab. They have a large menu, so there is something for everyone. They also have a large selection of desserts to choose from. My favorite thing that we ate was the makki ki roti with mooli in it—an unleavened bread made from corn meal with daikon radish inside. 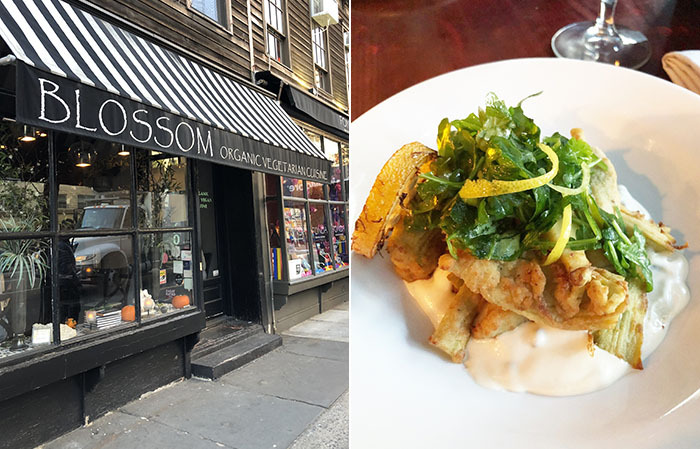 Blossom is a vegan restaurant group in New York City whose restaurants use ingredients from local farms and small distribution companies. We went to Blossom on Ninth, in Chelsea, but there’s also a location on the Upper West Side. My favorite thing that we ate was the crispy artichokes—artichokes that have been dipped in a quinoa-flour batter and fried and served with a lemon caper aioli. I could have easily been happy with 4 orders, just for me, and nothing else. They were that good. The Little Beet has a vegetable forward menu and a comfortable, relaxed dining atomosphere. I ordered their roated cauliflower steak that comes served with maitake mushrooms, market herbs, apple, almond, and green curry, as well as a side of roasted sweet potatoes. Both were divine! *Disclosure: Statue Cruises provided cruise tickets for Mr. Fuji and myself at no cost to us. I received no further compensation. All opinions and experiences are my own. We just booked a trip to New York for March and these are all places I want to see! 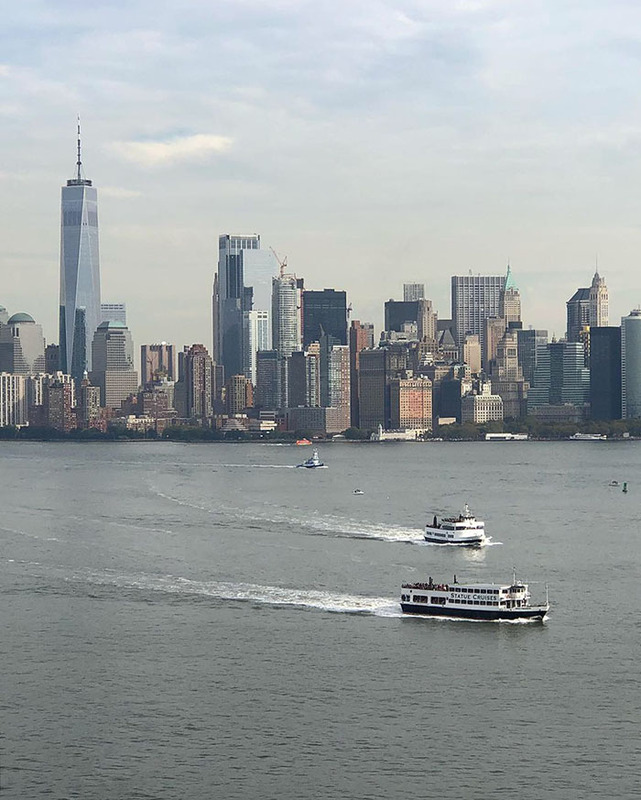 That cruise looks so fun and the Statue of Liberty is at the top of our must-see list. 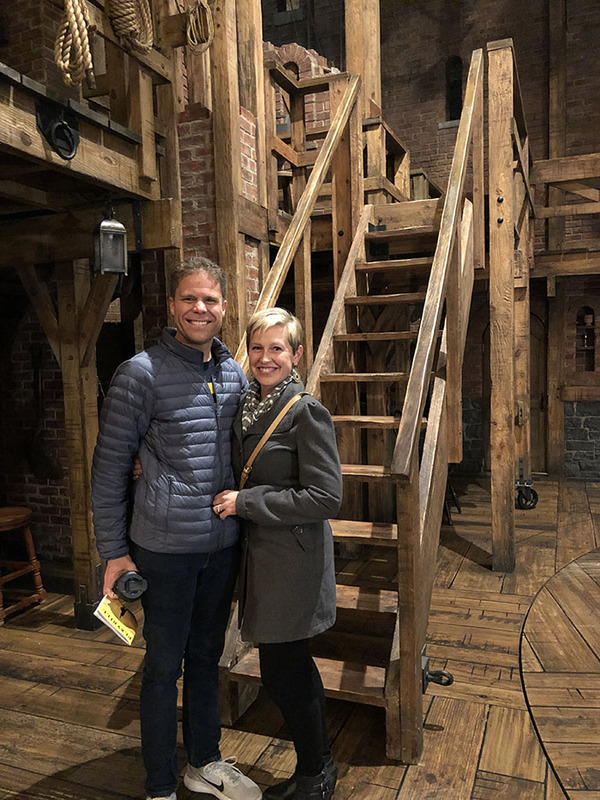 Was it hard to get Hamilton tickets? I keep hearing that it’s impossible. All of the food you ate looks so good. That Mexican food looks killer. The last time I was in NYC was in 2014 and I’m pretty sure I would have known if this place existed, so it must be new? Wow, you crammed a lot into a few days! Well done! 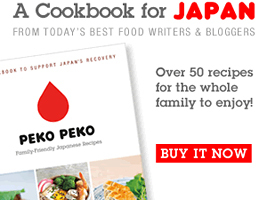 We’ve got to add those restaurants to our NYC food list.